For those who enjoy a dip in the paints and pencils every now and then, Strathmore Artist Papers offers free online workshops at this writing. Initially, I had trouble getting into the site. The workshop pages took too long to load, resulting in the “Timed Out” page. A few weeks later, the problem was resolved, and I watched the videos, which were designed to show techniques with painting and drawing tools. Yes, the artists used Strathmore papers, so this was a promo for said material. The “how it is done” videos remained informative nonetheless. Psst! I haven’t tried the Strathmore 500 series, so that I can’t say yea or nay on it. For watercolors, my favorite remains Arches. For lightweight mixed media shown in the photo, I used paper from a Canson pad purchased for 50% off list at a local art store. By the way, I used watercolor pencils, watercolor, and extra soft pastels to create the page for an art journal page swap. 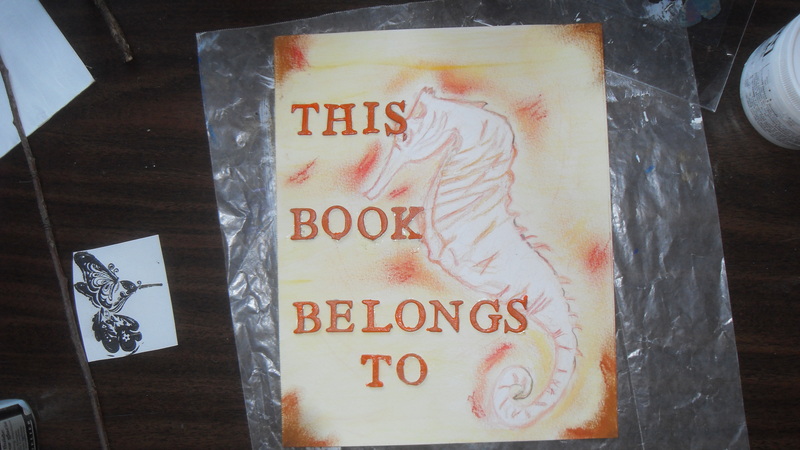 The chipboard letters were painted with acrylic paints and then glued to the page.